A word about 'our favourite links'. The links page is of a somewhat 'eclectic' nature because it contains subjects that are not necessarily tree related. The links lead you to people who crossed our path, with whom we work or worked in the past or we were impressed with what is on offer in the linked website. At any rate the people behind the other websites have all one thing in common: passion for what they do. They deserve to be highlighted. If you have any other suggestions for links to be added, please write to us by using our contact form. I welcome Futurity Incorporated, a Landscape, Design and Plant Inventory company that provides professional services for private individuals, corporations and local authorities. The company is managed and owned by David Bier. love for plants and made it his career. The result is an outstanding professional approach to his design services that at the same time is infused with his passion for nature, resulting in final landscape designs where people feel immediately at home. Landscape design work is a complicated process and in order 'to do it right' it is essential that one knows what one has to work with. And to know what you have, it needs to be preceded by inventory work. Inventory work means that one has to have systems at hand that easily can be computerized and collect data that can be sliced and diced in aid of management programs and or new design plans. The inventory software has its roots in SiteToolbox - a simple, easy to understand inventory software system that has its application in tree, plant, wetland and even regional land management. Pink-Wise is primarily a resource website for women. Pink-Wise has been developed by women for women. all corners of the United States, Hawaii and the Caribbean. Angela enjoyed a twenty-year career as an event planner, first on private luxury yachts, then in grand resorts and historic hotels, including the Waldorf-Astoria. She has served a clientele that includes the famous and the infamous. In 2003 she left the hospitality industry to settle down with her husband and raise two sons. Angela is an avid volunteer, fundraiser and advocate for a number of causes and not-for-profit organizations. She now works in local government in Westchester County where she resides with her family, living the “normal” suburban life she imagined as a child. the best health of trees, plants, shrubs and lawns. so you can have all year round your own freshly grown food. Check it out in person or on line...! Julia Sich is one of those wonderful persons who has dedicated her life to nature and our daily environment at large. Her focus is 'edible weeds', i.e. documenting the nutritional value of wild plants that easily can be collected and serve as a value added food source to our diet. To that end she has written a booklet that is gradually growing into a book, full of interesting recipes how to make wonderful blends to healthy drink. The book is also an excellent identification guide for those weeds and plants that are beneficial to us. Check it out and enter the exciting world of blending and making smoothies with 'edible weeds'. Visit my friends at the Nature Institute in Ghent New York USA, a wonderful place with the most interesting courses that further holistic science. "Nature around us is whole and interconnected. Though we are part of nature, we do not yet fathom her depths, and our actions do not embody her wisdom. A fundamental shift in our way of viewing the world is necessary if we would contribute to nature's unity rather than dissolution. At The Nature Institute, we develop new qualitative and holistic approaches to seeing and understanding nature and technology. Through research, publications, and educational programs we work to create a new paradigm that embraces nature's wisdom in shaping a sustainable and healthy future". 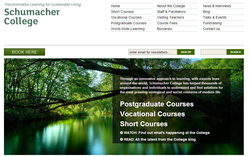 Buddinghtree Consultancy maintains close links with Schumacher College, that through an innovative approach to learning has helped thousands of organisations and individuals in understanding and finding solutions for the most pressing ecological and social concerns of modern life. Lee Klinger has over the past years researched the needs of oak trees that are attacked by Sudden Oak Disease. 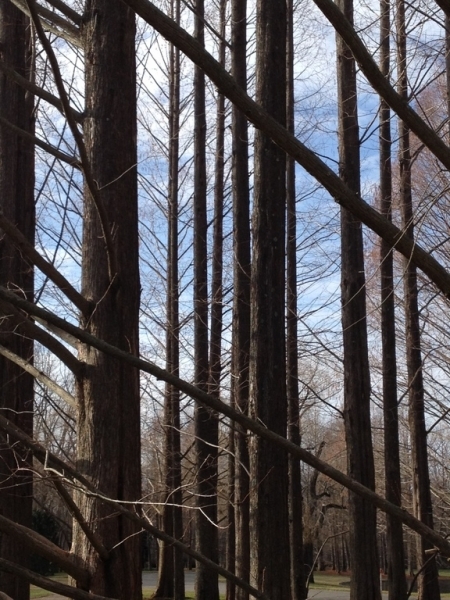 He takes an holistic approach to improve the health of trees and soils. International Society of Arboriculture Chapter. Jan Flook is a very talented lighting designer. Mr. Walt Butler is the inventor and manufacturer of the Vulcher2. It is an ingenious attachment that can be placed on commercial lawn mowers. The purpose of this attachment is to help bring an end to the doubtful practice of removing all the falling tree leaves from private properties and (public) parks. Leaf removal makes for poor soils and rob trees from valuable nutrients. With this Vulcher mulching attachment, fallen leaves are pulverized when mowing lawns and then driven back in the the grass mat where they can compost further, thus replenishing trees, grass and plants. Not to mention that it is no longer necessary to haul leaves from your property. We are excited to refer you to this outstanding nursery. 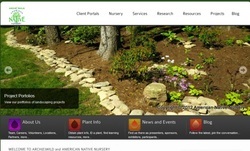 American Native Nursery is a wholesale and retail native plant nursery with demonstration gardens and propagation facilities. Located in Upper Bucks County, Pennsylvania, it invites visitors to observe directly the natural life cycle of hundreds of native flowers, grasses, ground covers, shrubs, and trees, in a variety of growing conditions, including wetlands, ponds, dry shade, and woodlands. American Native Nursery specializes in propagating native plants and other highly desirable or rare indigenous plants from seed sources within the Northern Piedmont and surrounding ecoregions. Their specialties include many desirable and versatile plants. 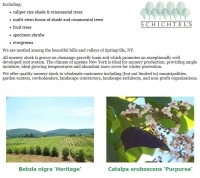 Schichtel's Nurseries produces excellent tree material and also supplies bare root trees. They are upstate NY and a wholesale nursery, thus as an end user of trees you can not buy. However it is good to have a look at their material and ask your local nurseryman if they can source trees from Schichtel.